Task: a national promo landing page, by Ursus, one of the best Romanian beers. 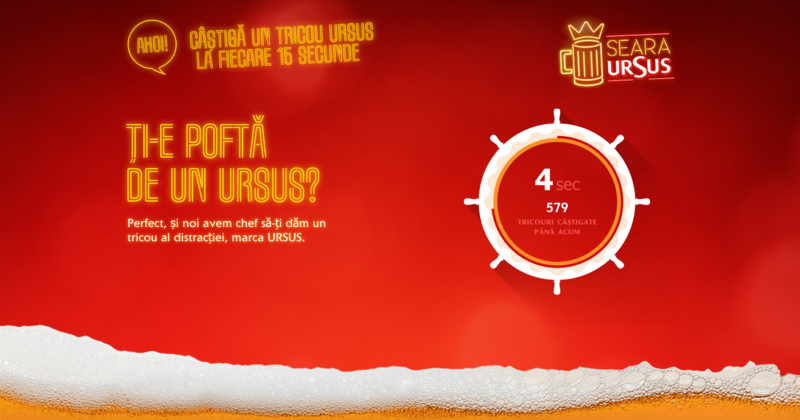 The users could win a t-shirt every 15 seconds. The solution: clean, visually striking design. Using red (the main brand color), a chronometer shaped as a navigation wheel and a wave of beer.